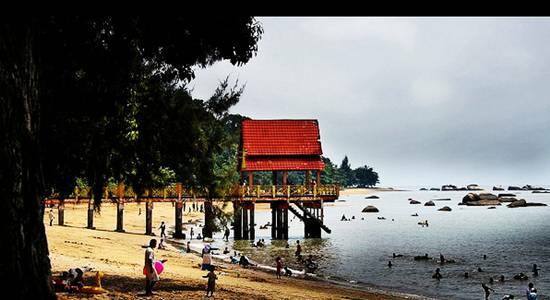 Tanjung Bidara is one of the famous beaches in Malaysia. It is situated at west coast of Malaysia. It is about 70km from Port Dickson another famous beach in Malaysia. Tanjung Bidara is located in Alor Gajah district. It takes about 45 minutes from the city of Melaka and 10 minutes from Masjid Tanah. The beach is situated about 1km from the main road. Why the main road is far away from the beach? Well it is because an army camp; Kem Tentera Terendak is situated near the beach, that is why the main road is build far from the beach. 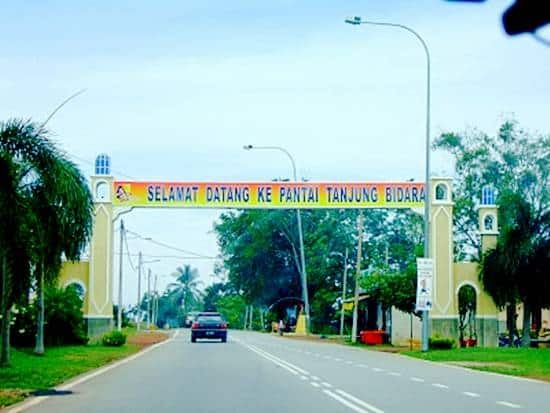 Tanjung Bidara is situated in between two beach; Pantai Padang Kemunting and Pantai Pengkalan Balak. The water in this beach is murky but the beach is sandy. Why this beach should be visited by you? Tanjung Bidara is sloping beach, have greenly scenery and windy location. The place that is far from the main road can give you feels comfortable to swim. The place is greenly because at Tanjung Bidara there is no development happen due to the presence of the army camp. You might find monkeys lurking around the beach there. There is also having many sea rocks in Tanjung Bidara. If you want some peaceful place far from the busy road, this place is highly suggested. What is waiting for us there? There are plenty of activities you can plan to do here. You can swim in the sea, did a beach BBQ playing kites, setting a tent and camping here, playing beach football, playing beach volleyball, organize a “sukaneka” or treasure hunt here and many outdoor activities. Besides that, there are activities that provide by the Tanjung Bidara Beach Resort such as a tennis court, having a horseback riding at the beach and island tour. It not only the activity that can be done inside the main beach, but you can also did activity outside the main beach. Kompleks al-Khawarizmi, the place to absorb the star and the moon is situated nearby. Besides that, there is a place to see penyu kerah, one of the turtle species in Malaysia that is taken care. There also gift shops in Tanjung Bidara that sell buoy for kids, t-shirt and other merchandise. There are many chalets, resort and homestay nearby. You will not find it difficult to find a place to stay. Just come to Tanjung Bidara and have some outstanding view of the Melaka Straits.